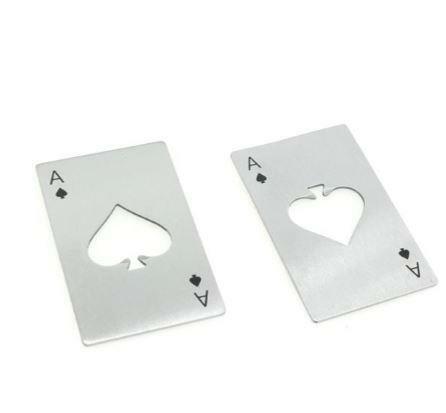 UNIQUE - Fashion Stainless Steel Credit Card Bottle Opener makes you special and shining in every occasion. A fun novelty piece is small but powerful and is durable enough to tackle any bottle cap. ★Made from heavy duty stainless steel Made from heavy duty stainless steel,Measures approximately 3.34"*2.1"*0.07". ★Easily stored in small space. It is at your fingertips whenever you need it. It's made of sturdy stainless steel and is the perfect tool for your favorite beer lover. ★A perfect gift for family or friends on Father's day, Christmas Day, Birthday, Thanksgiving Day, etc. It's also a great groomsmen gift.